Why use "That's Natural!" 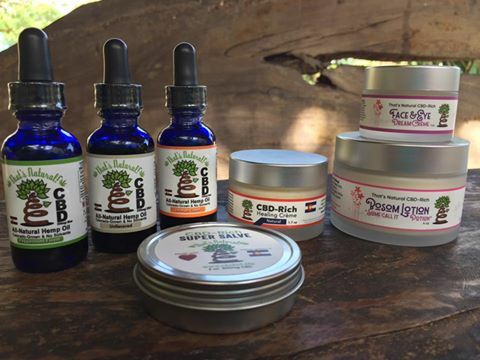 CBD products? That's Natural! CBD (cannabidiol) Hemp Oil is the highest-grade, most premium product that you can purchase on the market. Not a marijuana product, it is legal in all 50 United States. We can ship it to YOU! Hemp has been used by humans as a food and natural medicine for over 10,000 years. In fact, it was recently discovered that human beings have evolved an Endocannabinoid System in the body that works to distribute the healing cannabinoids in hemp and other plants to where the body can best use them! CBD, or Cannabidiol, is one of the most studied and best known of these compounds and has been studied for its positive effects on many problems in the body. See Research on CBD and Testimonials. That's Natural CBD hemp oil offers a way to make use of the healing property of CBD oil without the psychoactive effects of marijuana, making it desirable for children, pets, or anyone who does not want those effects on a daily basis. Please use the Comments section below to order your That's Natural Products. Be sure to indicate the number of bottles and/or jars and the flavors you would like. You will then receive an invoice you can pay using your credit/debit card. Discounts available for multi-product orders!